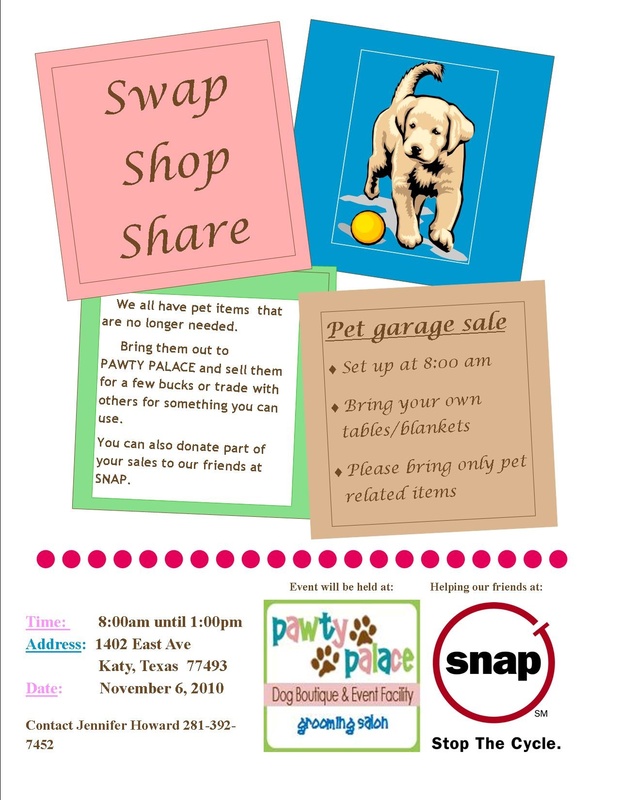 Swap, Shop and Share with Pawty Palace benefiting SNAP. We all have pet items that are no longer needed. Bring them out to PAWTY PALACE and sell them for a few bucks or trade with others for something you can use. 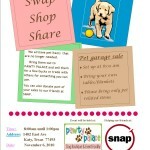 You can also donate part of your sales to our friends at SNAP. Date TBA. Set up at 8:00 am, bring your own tables/blankets. Please bring only pet related items. Pawty Palace is located at 1402 East Ave. Katy TX 77493. Date is on the flyer, this saturday, Nov.6th from 8am til 1pm.